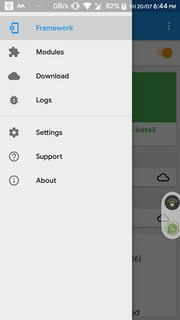 I have installed Magisk and systemless xposed. What do I need to do to download and install xposed modules (not Magisk modules)? I don't see any app for xposed only the Magisk Manager from where I can install Magisk modules (like systemless xposed). Tap on the module, on the next screen it will prompt you to download an installer. Do that, give permissions for installing for external sources when prompted. Go back to the earlier screen and install. Let it do it's job and reboot. Not the answer you're looking for? Browse other questions tagged xposed-framework magisk systemless-root or ask your own question. Can xposed framework impact system performance and battery? Where are Xposed modules stored? How to “completely” delete Xposed Framework and modules? Xposed framework greyed out. Should I be concerned?